Whitworth Theatre to stage "Is He Dead? A NEW Comedy by Mark Twain"
One hundred years after the death of beloved American author and humorist Mark Twain, his recently unearthed work, "Is He Dead? A NEW Comedy by Mark Twain," adapted by David Ives, will be presented by the Whitworth Theatre Department for its spring production. The play will take place March 5, 6, 12, and 13 at 8 p.m., and March 7 at 2 p.m., in Cowles Memorial Auditorium on the Whitworth campus. General admission is $8; students and seniors pay $6. Tickets may be purchased online at www.whitworth.edu/theatretickets. For more information, please call (509) 777-3707. Twain wrote "Is He Dead?" in 1898, but he could never get it produced. As a result, the play was almost lost to the pages of history, never to see the stage. Until one day in 2002, more than a century later, a Stanford University scholar discovered the manuscript tucked in the Mark Twain Papers at U.C. Berkeley's Bancroft Library. She laughed out loud in the archives as she read it, and immediately decided that "this delightfully ebullient play…deserved to be rescued from the obscurity in which it had languished for over a century." Comedic playwright David Ives "put Twain's play on a much-needed diet" by whittling down the cast, compressing three acts into two, and eliminating several plot elements while developing others. It received critical acclaim when it debuted on Broadway in December 2007. "Twain's well-crafted dialogue, subtle satire, appealing characters and tightly structured plot pull it all together," says Shelly Fisher Fishkin, the Stanford University scholar. "The result is a champagne cocktail of a play – not too dry, not too sweet, with just the right amount of bubbles and buzz." Rick Hornor, the play's director and a professor of theatre at Whitworth, says, "I loved the delightful story of comic intrigue and disguise and I knew our actors and crew would enjoy the challenges and pleasures of producing it. I also know the audience will be intrigued that this is a completely new play by one of the most famous American authors of all time." 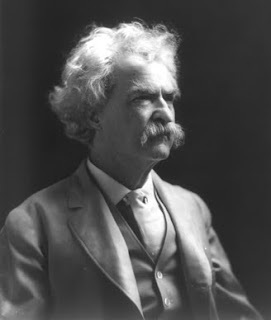 Thus, long after his death, Twain's play will come to life on Whitworth's stage, leading the world to conclude that reports of its death had been, indeed, greatly exaggerated.